I invite you and your community to join us for the very special screenings listed to the right. On March 1st, Yari and I will join Rick and Laura Brown, painting leader, Matt Jeffs and student participant, Rachel Debuque for a Q&A after the screening. On March 3rd, Rachel will be available to answer questions about the project. On this page you will find links to all the information you need to buy tickets and learn more about the film, the filmmakers, and the creators of the Gwozdziec synagogue reconstruction project. 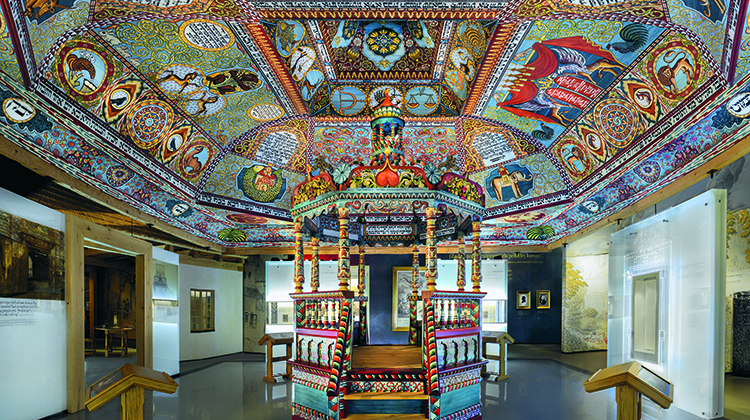 You can also find links to the Raise the Roof press kit, a poster to print and pin up and a link to arrange special screenings for your synagogue, church, school or community group. See you at the movies!